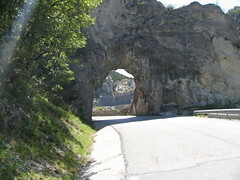 I rode to Digne-les-bains today, to see the tour come through on Saturday. 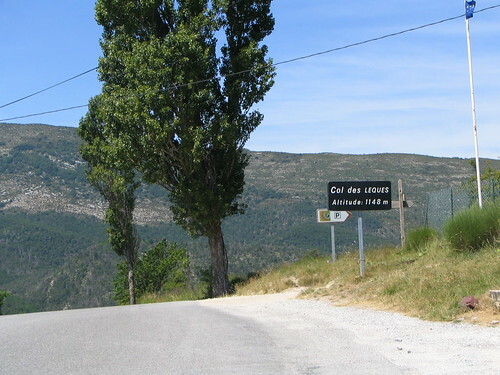 There was one nice climb in the beginning, and then it was mostly flat. and I finally saw my first field of lavender! 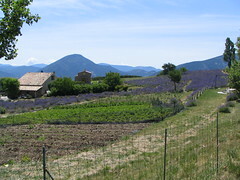 Digne is the capital of lavender, and they are having a lavender festival in August. 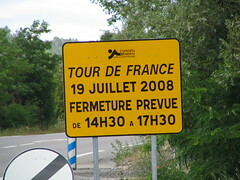 I started getting really excited about seeing the tour when I saw this sign. « Canyoning in the Gorges du Verdon!